Inland Valley Symphony (now Temecula Valley Symphony) appointed Zun-Hin Woo as its Associate Conductor in 2014. “Hin” continues to serve in that role and is also our current Concert Master and String Section Coordinator which includes string coaching during rehearsals and recruitment of new string players for our symphony. 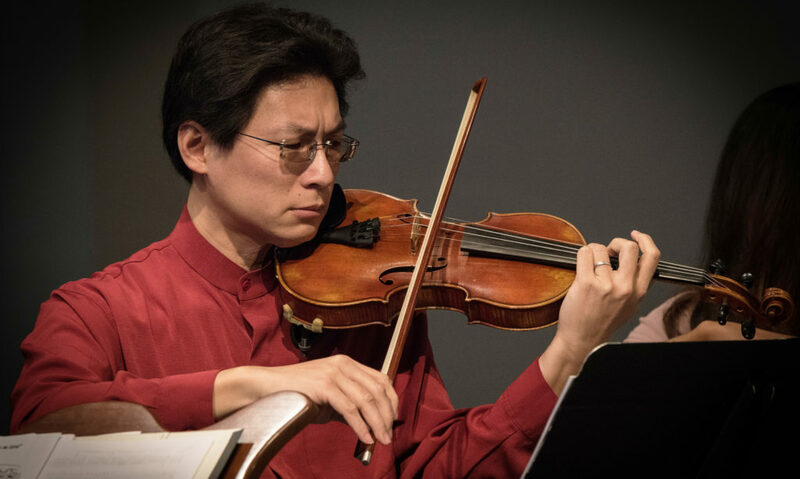 As a professional violinist Hin has performed with several orchestras in China including the Hong Kong Virtuosi, Hong Kong Sinfonietta as well as numerous symphonies in Southern California and currently is a free-lance musician. Born and raised in Montana, Mr. Woo attended the University of Oklahoma in Norma and obtained his B.M. in Violin Performance and earned his M.M. degree in Orchestral Conducting at the University of Missouri in Columbia. Hin is currently the Associate Conductor of the Symphony Irvine and has served as a conductor for the Sichuan Symphony in China as well as several symphonies in Hong Kong including the Open University, Concerto da Camera, King’s College, Hong Kong Medical Association Orchestra, La Salle College and Wah Yan College. Having recently moved back to the U.S., Mr. Woo is currently securing teaching, performing and conducting positions in the Southern California area.